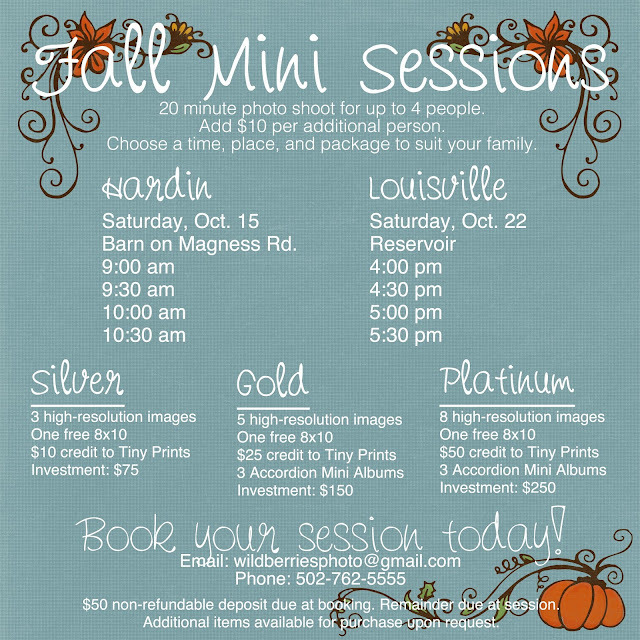 My Messy Manger: Fall Mini Photo Sessions! Over the past few months, I've been quietly growing my interest in photography from a hobby into a real side-business. 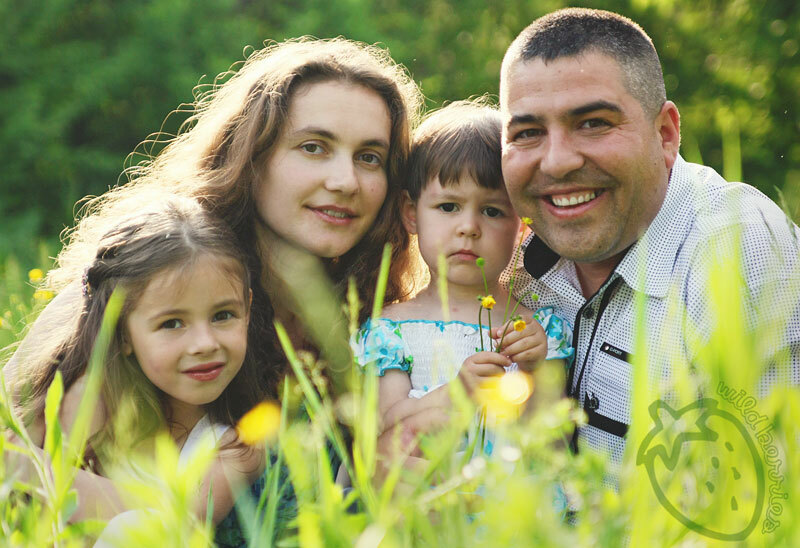 Please allow me to introduce you to Wild Berries Photography. We frequently describe Jude as sweet and wild, and one day, Josh asked me if something really could be both sweet and wild. I immediately responded, "sure... like wild berries!" That is my vision for Wild Berries Photography. I want to capture the sweet wildness in life. I'm really excited to announce that Wild Berries Photography will be offering fall mini sessions in October in both Hardin and Louisville! I am offering three different package options so that you can choose the one that best meets the needs and budget of your family. With Christmas coming up, each package includes a credit to Tiny Prints. We have ordered from Tiny Prints on more than one occasion, and have always been beyond happy with their design selection, product quality, and customer service. I'm also excited to offer sets of three custom-designed accordion mini albums along with the Gold and Platinum packages. These are such cutie-patootie little albums-- they make great gifts for grandparents or just to carry around in your own purse. If you would like more extras than are included in your package, feel free to talk to me about add-ons. One last note for those of you in the Hardin area: I will also have free time on Saturday at sunrise and in the early-to-mid afternoon to do full sessions for anyone who would like more time and photos than comes with a mini-session. Just let me know what you would like to do and we can talk times and prices.